For the second consecutive day, the WSOP November Nine final table started off with a bang, and then became a bit dull. There were some fireworks throughout the three hours of otherwise mostly unexciting play. The first bust out came on the second hand of the day, yet again. 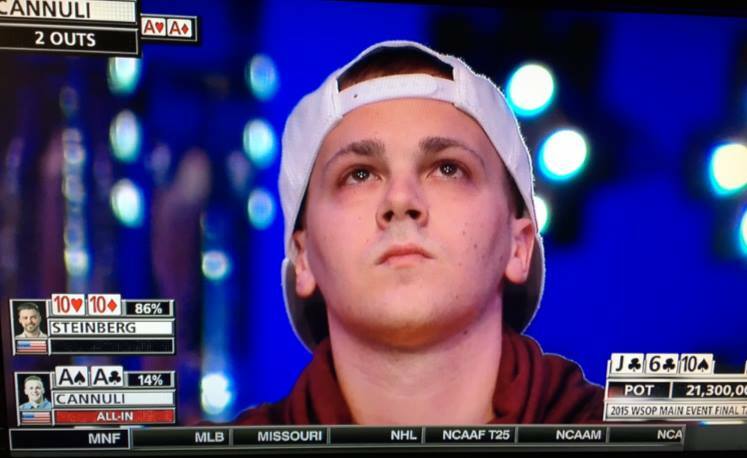 Tom Cannuli, the youngest player and smallest stack at the table, had the good fortune of getting Max Steinberg to shove all in before the flop when Cannuli was holding pocket aces. The good fortune for the youngster stopped right there. Steinberg had pocket tens and spiked a ten on the flop. Cannuli received no help on the turn or river and was sent home with a nice parting gift of $1,426,283 for his 6th place finish. 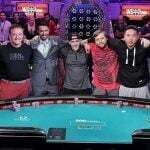 After Cannuli hit the rail, there were still two more players left to bust before the second day of the final table would conclude. A couple of hours later, the next two players busted, both of which were a surprise to many. Stern, a 36-year old Israeli, had a rough Day Two. He entered play Monday evening second in chips, but was eliminated in 5th. Many on the Internet were ecstatic to see him bust. He received heavy criticism on Sunday for tanking too long before folding pre-flop nearly every hand. 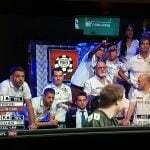 Even ESPN commentator Antonio Esfandiari gave him a hard time on air. Stern wasn’t so bad on Monday night, however. He picked up the pace, likely after hearing talking heads trash him the night before. Unfortunately for Stern and his fans, refraining from tanking didn’t bring him good karma. Early on, the Israeli open-shoved in the small blind with 10♠9♠, which may have been too aggressive, but he was unlucky to find out Josh Beckley woke up with A♠A♥ in the big blind. Pocket aces held up for Beckley, increasing his stack to nearly 30 million, and dropping Stern to the short stack. Soon after, with just 11.5 million chips remaining, Stern saw A♣J♥ and moved all in, but again ran into bad luck when Neil Blumenfield saw A♠K♣ in the big blind. The best hand held up for the second consecutive time, eliminating Stern from the tournament. 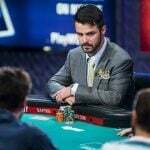 Arguably the most accomplished poker player at the table, Max Steinberg was a popular pick to win the Main Event the past few months. He spent most of the first day playing tight. He increased his aggression a bit on Day Two. On the second hand, he got lucky against Cannuli with pocket tens versus pocket aces. That was about the only thing that went well for him on this day. On the final hand of the day, in a 34,000,000 chip pot, chip leader Joe McKeehen got even richer when his A♦Q♣ bested Steinberg’s A♥J♦. For the former poker player turned daily fantasy sports pro, this was his greatest accomplishment in either career for Steinberg. A champion will be crowned Tuesday night at the Rio. $7.6 million goes to first place. Joe McKeehen holds a massive chip lead, but Neil Blumenfield and Josh Beckley won’t go away without a fight. Play resumes at 6:00 PM Pacific Time in the Penn and Teller Theater at the Rio, airing on a 30-minute delay on ESPN starting at 6:30 PT.